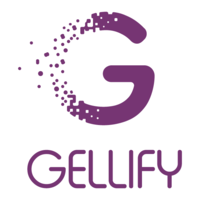 GELLIFY is the first B2B innovation platform which connects B2B digital startups to traditional companies with the purpose of innovating processes, products and business models. On the supply side, GELLIFY invests in significant technological and business trends such as industry 4.0, fintech, cybersecurity, big data and artificial intelligence, supporting startups through: (1) smart money, i.e. round A investments by traditional and digital entrepreneurs; (2) the "Gellification"​ programme: a proprietary model which lasts from 6 to 24 months and impacts on all business areas of the startups, consisting in structuring processes and integrating their skills; (3) access to market through the network belonging to the managing and technological partners active on the platform. On the demand side, GELLIFY supports traditional companies through corporate innovation programs, technology and domain experts, management training.